Join the discussion on our forums! 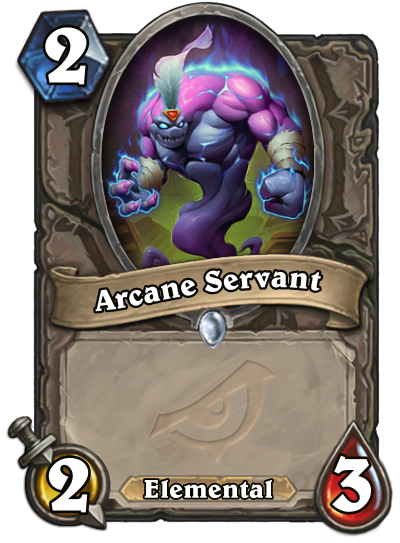 Come discuss Arcane Servant over in our dedicated Arcane Servant discussion topic. A not so bad card. A good stats for 2-drop and it triggers Elemental synergy. What a waste of a perfectly good expansion slot. Ohhh, it's an eye, thanks, I needed this card. I think it's supposed to look like both an eye and a bird.